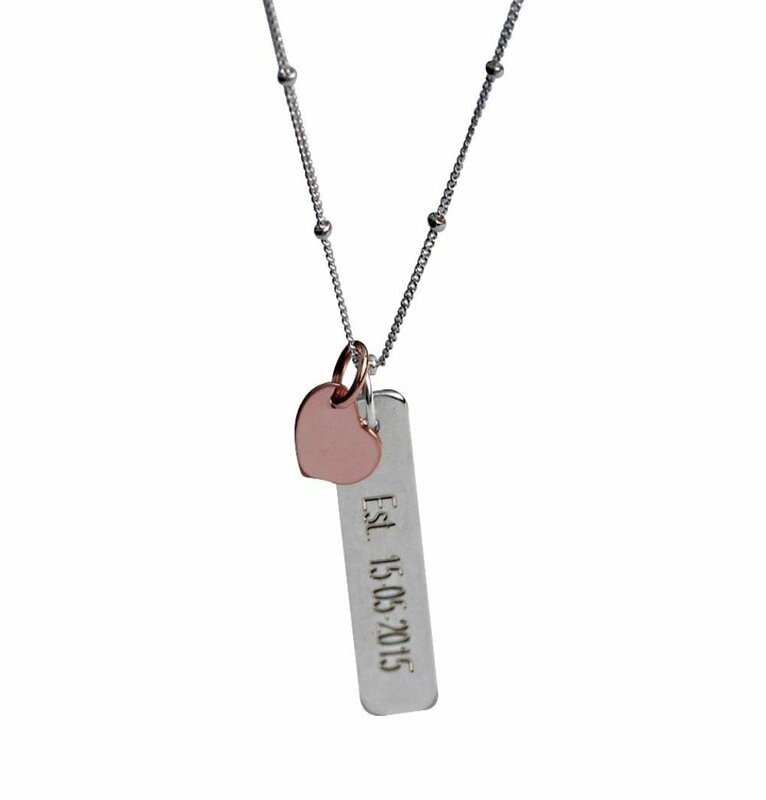 Description: Cool tag that can be engraved with the names dates of your choice. 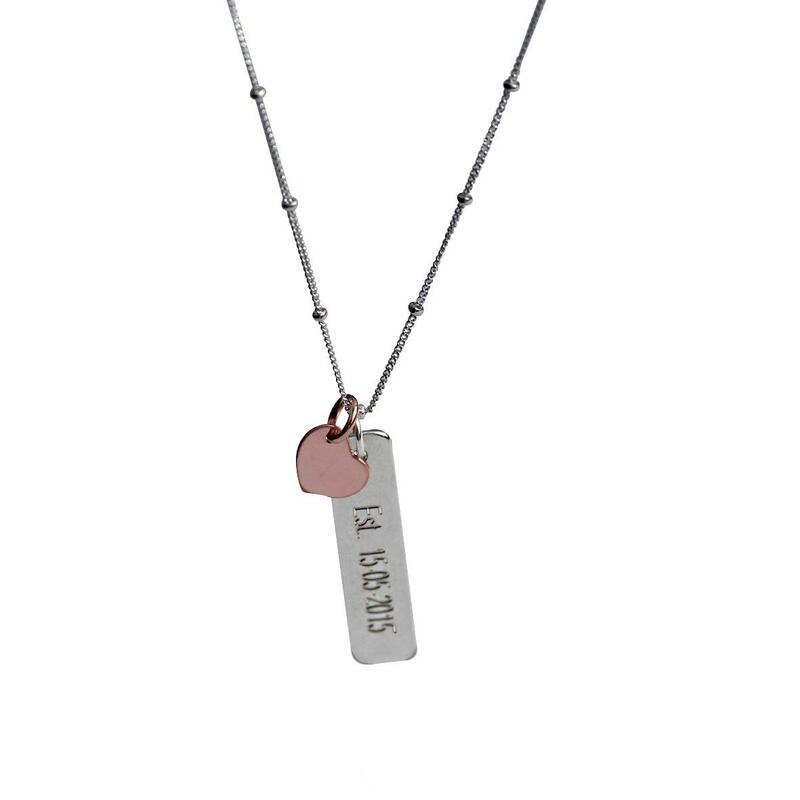 It comes with the chain seen in image and the little heart charm. Engraving is incuded but you can leave blank if preferred. Metals we use: We use Sterling Silver, 9ct yellow, rose, white gold manufactured in Australia.